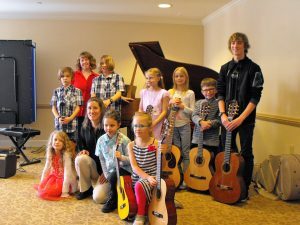 Lorian Bartle is currently accepting guitar, music theory, and keyboard theory students ages five to adult. She has been teaching since 1998 and offers her students an individualized teaching approach to help students reach their musical aspirations. Performance opportunities are available for students who wish to showcase their musical talents in community-based performance settings. Additional information on lessons can be found on the new updated website.